ISRO-NRSC Recruitment 2017 for Technician, Draughtsman, Technical, Scientific Asst. 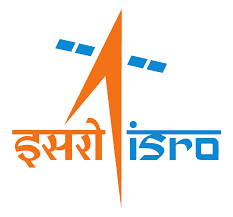 Posts: Indian Space Research Organisation has Released Recruitment Notification for Technician, Draughtsman, Technical, Scientific Asst – 74 vacancies. Interested for getting Technician, Draughtsman, Technical, Scientific Asst. Vacancies, May Apply online on or before 10-06-2017 at 12:00 PM hrs on wards. Candidates age limit is 18 to 35 years as on 10-06-2017. Age relaxation is as per Govt rules. Interested candidates can apply online application forms by visiting the website “www.nrsc.gov.in” from 20-05-2017 to 10-06-2017 at 12:00 Hrs on wards. Online Application Begin: 20-05-2017 Hrs. Last Date of Online Applications: 10-06-2017 Hrs on wards. Relevant Addresses in Indian Space Research Organisation, Department.